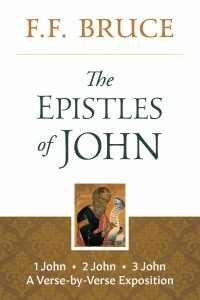 The Epistles of John, addressed to the Asian Christians at the end of the first century, were written to encourage believers in the face of false teachings and to assure them that they were indeed following the truth of Christ. The temptation to conform the gospel to current fashions of thought is as real today as it was in the time of John. Known worldwide as the “Dean of Evangelical Scholarship,” F.F. Bruce (1910-1990) was a biblical scholar who supported the historical reliability of the New Testament. Trained in classics, he taught at the universities of Edinburgh, Leeds, and Sheffield, and was for almost twenty years the Rylands Professor of Biblical Criticism and Exegesis at the University of Manchester. Bruce combined an immense contribution to evangelical scholarship with a passion for proclaiming the Bible as God’s guide for our lives. He used his great knowledge to explain the Bible simply and clearly.